History - John Boos & Co. 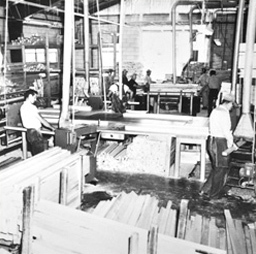 Founder Conrad Boos harvested Sycamore from wooded areas around Effingham, IL, processed it at his sawmill, and then brought it to his blacksmith shop for finishing. The first innovation was a sycamore tree placed on three legs to absorb the shock of the blacksmith's hammer against the anvil. When the local butcher saw and admired the innovation, he realized that he could use one in his meat market. So Conrad's son, John, adapted the idea and made him one. 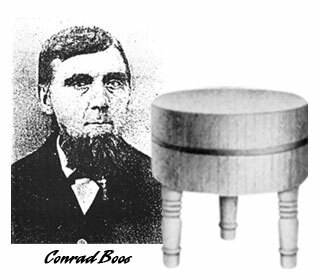 Boos family sells John Boos & Co. to a German immigrant named Adelbert Gravenhorst, an enterprising businessman who joined Conrad and John Boos to incorporate John Boos & Co. John F. Boos is elected the 1st President of the company. John Boos & Co. location on Jefferson St. burned down and was rebuilt. Seven years later, John Boos & Co. expands and moves to a new location on South 1st St. in Effingham, IL. 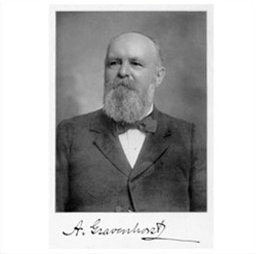 Adelbert Gravenhorst becomes President of John Boos & Co.
John Boos & Co. successfully continues to grow its business despite the Great Depression Era. John Boos & Co. builds its 1st Stainless Steel Table. 1st ground combat action reported during the Vietnam War. John Boos & Co. reaches 100 employees. 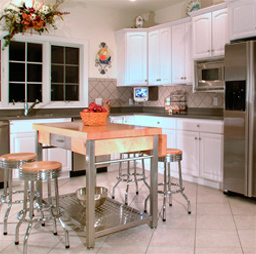 Customers continue to successfully grow in the foodservice industry as well as in the residential homes market. John Boos & Co. metal plant burns down and is promptly rebuilt to meet the demands of stainless steel manufacturing. Stainless steel becomes popular in the kitchen with Boos' Cucina Americana roll out consisting of integrated maple and stainless steel kitchen carts and worktables for the residential industry. 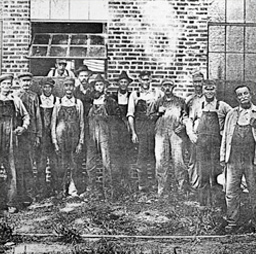 John Boos & Co. celebrates serving our customers for 125 years and expands its markets for commercial and residential customers, and seizes new opportunities. Both wood and metal facilities reach milestones with production output. The company expanded with a move to a new corporate office of nearly 87,000 square feet combined with a new metal plant facility in Effingham, IL. With over 125 years of adaptation to the markets, John Boos & Co. has become a primary provider of gourmet products and foodservice equipment throughout the industry. We have the capabilities of both wood and metal manufacturing all at the same location. This ability to fabricate and manufacture both wood and metal, gives us a large variety of opportunities to expand our product offerings to our customers in the foodservice industry. 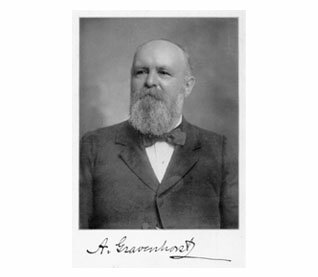 In 1892, Adelbert Gravenhorst, a German immigrant and enterprising businessman saw the potential of this innovation and joined Conrad and John Boos to incorporate John Boos & Co. 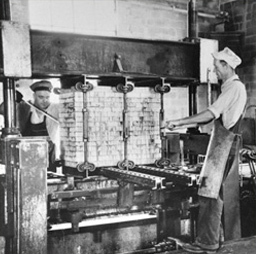 He provided the investment needed for manufacturing the butcher block to meet the growing demand of commercial meat markets. 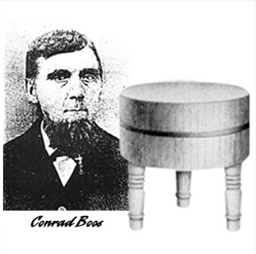 As a single product (die block) manufacturer in the early years of John Boos & Co., there became a single minded focus: to make the best die blocks in the world. One of the early company mottos was “Wherever steel meets wood, Boos is Best!” True to the motto, John Boos & Co. sent product for display at the World’s Fair in Paris, 1900. 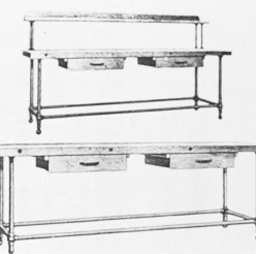 During WWII, John Boos & Co. proved its ingenuity and adaptability to manufacture foodservice worktables and tabletops for the U.S. Army, Navy, and Marine mess halls and kitchens. 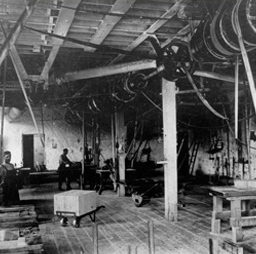 The company emerged from the war era with a new manufacturing philosophy, service culture, and expanded product lines. Boos butcher block tops grew out of the old fashioned Boos butcher block to meet the growing requirements of the foodservice industry and the residential markets. 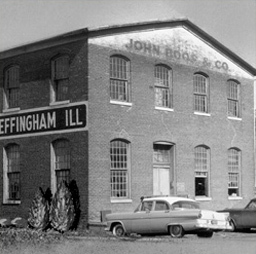 Beginning in the mid 1960’s, John Boos & Co. further expanded the growth of its stainless steel fabrication. Ever changing to accommodate the market requirements, the company’s manufacturing expanded to include an entire range of stainless products. 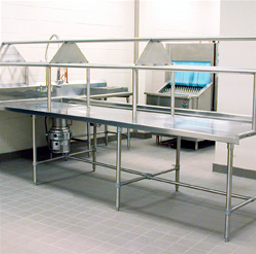 The company combined North American hard rock maple and foodservice grade stainless steel to begin its blended offering of commercial quality carts and work tables. 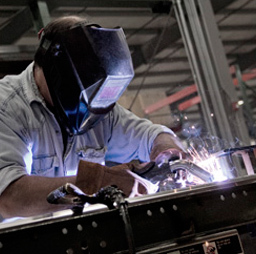 John Boos & Co. currently continues to be the only company in the U.S.A that has both stainless steel fabrication and wood manufacturing facilities in one location. With over 100 years of adaptation to the markets, the late 1900’s presented yet many new opportunities. Events during this era created the catalyst to shape John Boos & Co. as a primary provider of gourmet products and foodservice equipment. Major catalog and retail store exposure with many of the renowned companies in the kitchen specialty markets promoted growth of the Boos furniture and cutting board lines. Cooking shows gained popularity and Boos Block ® cutting boards were front and center stage. 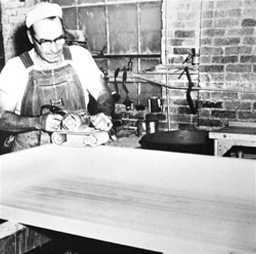 During the same era, Dr. Dean Cliver renewed interest in wood cutting boards with his Sanitation Study – Wood vs. Plastic! On the commercial front of the business, John Boos & Co. began further expansion of stainless steel fabrication with the manufacturing of stainless steel sinks for one of the largest supermarket chains in the U.S.A. The chain remains an important customer still to this day. With a broader scope of manufacturing capabilities to the foodservice trade, the avenue was paved for John Boos & Co. to begin the roll-out of stainless equipment for stadiums and arenas. The stadium concession stands were equipped with stainless products. Several years later, Boos Block ® hard rock maple cutting boards and commercial butcher block tops would find their way into the same venues. John Boos & Co. launched www.johnboos.com in the 90’s and began their growing product market on-line. Boos customers began marketing and selling these same products through their own web sites. 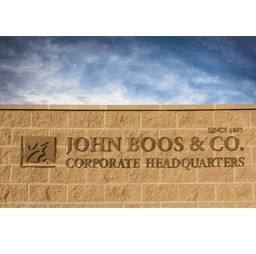 During the 125th anniversary year of John Boos & Co., the company has expanded with a move to a new corporate office location combined with a new metal plant facility in Effingham, IL. The new facility at nearly 87,000 square feet, located on over 12 acres of property will allow us to “grow forward” with relocating our current Effingham wood plant facility and on-site kilns to the same new location within the next few years.